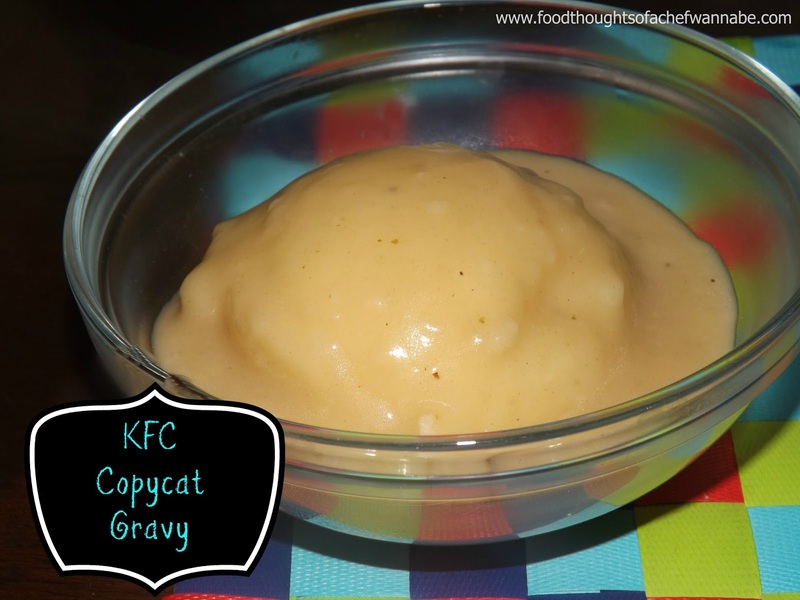 Who doesn't love KFC mashed potatoes and gravy? Just WHO? I can remember my mom driving to a big town about an hour from where we lived and sometimes, if she had enough money should bring us a treat, fried chicken and mashed potatoes and gravy. OH YEEESSS! Those perfect whipped instant potatoes, (maybe they were real back then) formed into a ball, from that perfect ice cream scoop type contraption. Velvety gravy ladled in all its peppery goodness on top. YES! I have been a mashed potatoes and gravy freak since the beginning of my time on this earth. I was always very particular about my gravy. It must not have milk, OMGOSH when my mom said she was making "milk gravy" I wanted to hurl. I went through a phase of only butter on them and then I discovered what KFC actually did for the world, they made gravy for the world. Yes.. Yes they did. KFC created a world of gravy unlike any other. And this is why I had to recreate it! While this might not be EXXXXACTLY it, if you do it right, it is darn close and darn close my friends, is good enough for this gravy lovin' girl. Is it for you? Let me know! In a skillet add your butter. Let it melt, and continue to stir, adding in the four. Now, you must take the color a bit further than normal on this part. Don't just let the raw flour taste cook off, let it get a bit dark, a little nutty, and fragrant. You will need that flavor and color for your perfect gravy! When it has cooked maybe 2 or 3 or 4 (yea I don't remember just go with it) minutes, add in your chicken and beef stock and whisk or stir until the lumps are smooth and the gravy is bubbling away. Let it thicken and taste for salt and add pepper, my GOOOODNESS please add some pepper. Pour this delightful golden love over your perfect prepared potatoes and WEEP! Yes, I said WEEP!